As you, Activate Your Mission from God, you will have biblical value-based direction for your journey of living a life of significance. God placed in your heart a passion to make a difference for others. No matter your season of life, God will help you activate your Personal Mission. Core Values are explained and discovered on Participant Book pages 55-60. Following is some further input and explanation that may be helpful to you as you lead your group members through this portion of Session 1. Core Values are consistently reflected in your behavior. They are unique to you and relate to your inner beliefs and convictions. These Core Values are in addition to the behavior that will be evident as you allow God’s Spirit to control your life. Here are some interesting examples for helping people identify a couple of specific Core Values. If fake people make you crazy, then maybe authenticity is a core value for you. If half-heartedness angers you, then excellence is a core value for you. God desires that each of us express unconditional love to one another. You will do this as you seek to understand and honor other people’s Core Values. Their Core Values may be different from the ones you hold to in a given situation. Some women may have the same Core Value you do yet express it differently. 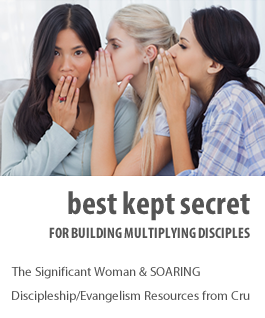 The note at the bottom of this page explains that there is a resource called The Significant Woman Habit Builder that will help you and your women build habits that support your Core Values. You may wish to download this for yourself and also make it available to our group members. You may wish to e-mail the Core Values Worksheet to your participants. They can type in their Core Values and the descriptions and e-mail it to the five people they have selected or print copies to distribute. They will more likely receive faster and more in depth responses if their friends can return their feedback by email. If your women prefer to write their reflections on a separate piece of paper rather than in their book, you could print the Uncover Your Passions Worksheet to help them uncover their passions. The reflection questions are on the first page and a picture of the heart on the second page. You may want to suggest that they transfer some of their reflections from the worksheet to their book to give them a permanent record of the process of uncovering the passions of their heart. Passions are a major ingredient in helping them discover their Personal Mission from God.